One of the most important things for cardiologists is the level of detail they can get from the patient’s heart beat and chest sounds. Even general practitioners need to be able to hear accurately their patients’ heart beat and breathing flux. For that reason the stethoscope remains one of the oldest, simplest, and yet most reliable tools at a doctor’s side. 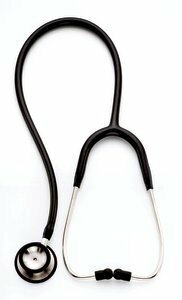 In order to help you decide on what your tool of choice should be we have created this list of the top 10 best stethoscope for doctors available on the market in 2013. Let’s take a quick look at the comparison table that highlights basic details about each stethoscope before diving into more comprehensive reviews. We are going to talk a lot about the Littmann stethoscopes simply because they currently make some of the best stethoscopes for doctors. Their top of the range stethoscope is the Master Cardiology Stethoscope. 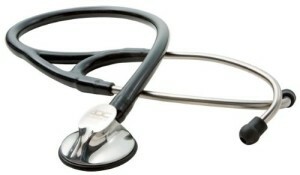 It is a single sided stethoscope, using a tunable diaphragm to focus on either low or high frequency sounds. And for uses with smaller patients and children there is a non chill bell sleeve included with the stethoscope. Finally, the Master Cardiology Stethoscope uses a two in one tube design to eliminate the noise of two tubes rubbing together so common in other stethoscopes. The Littmann Cardiology III is the better choice for general practitioners that handle both children and adults on a regular basis. It is the only dual sided stethoscope in the Cardiology series and both sides can be tuned to focus on either low or high frequency sounds. It still comes with the two in one tube design that the Master Cardiology Stethoscope uses so the sound quality is absolutely impeccable. Furthermore, the ear buds are inclined at an angle to perfectly merge with the ear canal. 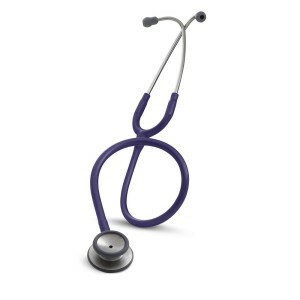 The Littmann Classic II is the perfect choice for the E.R. doctors for several reasons. The first is its ergonomic design and light weight that allows the doctors to carry it wherever they go. The second important factor is the fact that it is made from latex free materials so you do not have to be afraid that you will come upon that one patient with an allergy. 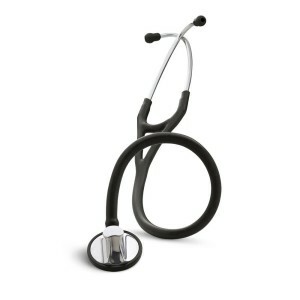 The reason why the Littmann Classic II comes in on number 3 on our list of top 10 best stethoscopes is the fact that it does all that and it still has the tunable diaphragm and the anatomically design ear pieces of the other, more expensive stethoscopes. The one fact you have to first take into consideration with the Adscope 615 is the fact that it received a 4.5 star rating on Amazon. 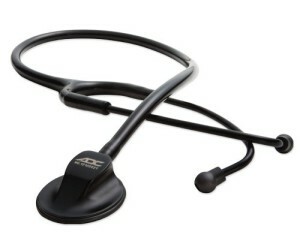 That means it is a pretty good stethoscope and it comes in at almost half the price of the Littmann stethoscopes. It does not have some of their key technologies but it still manages to work with a single sided listening piece that uses a gasket diaphragm to switch between low and high end sounds. 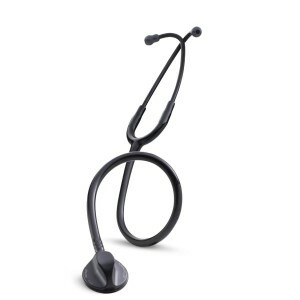 The RA Bock Single Head has made it to the list of the best stethoscopes because it uses the same type of tube in tube technology that the Littmann stethoscopes use. Still, at just a little over 45 dollars it is far cheaper and does not have many of the other features in the Littmann stethoscope. In order to switch from listening to low sounds to the higher ones, you will need to press down on the stethoscope head as you are listening. For the general practitioner the 3M Littmann soft touch chest piece technology is something that will come in handy if you have to deal with a lot of children on a daily basis. The soft touch chest piece actually refers to the ergonomic design of the chest piece, with three grip supports that will allow you to easily and comfortably move the chest piece from one auscultation area to another even with the most fidgety child. It also features a no chill chest piece so it will not feel uncomfortable to the patient. 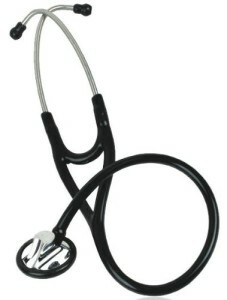 The Classic II is the final 3M Littmann stethoscope that we are going to feature in this list. 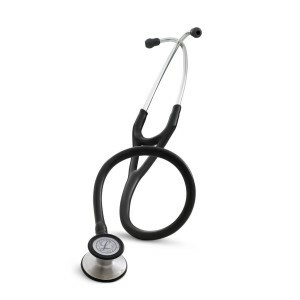 It is by far the cheapest Littmann stethoscope that you can find and it still comes with those essential technologies such as the high acoustic sensitivity of a dual sided chest piece. You can also focus on the either the low or high frequency sounds by simply changing the pressure you apply on the chest piece. 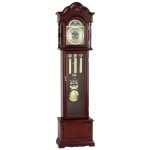 The Adscope 600 is the slightly more expensive brother of the Adscope 615 that we have already featured in this list. Its most outstanding feature are the PVC ear pieces that guarantee a perfect fit. They are even more likely to fit your needs regardless of your ear size because of the additional ear pieces that are included in the package. The Adscope 600 uses a single sided chest piece that relies on differences in pressure to focus the sound on either the low or high frequency sounds. 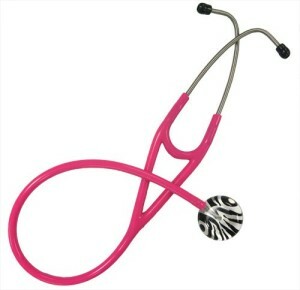 The perfect stethoscope for the podiatrist or for the general practitioner that is still very young at heart is the Ultrascope Stethocope with Zebra Print Design. It does not have the accuracy of the cardiology stethoscopes featured above but it is ultra light, easy to carry and comes with a life time warranty. It also received a 4.4 star rating on Amazon from fellow doctors who have come to rely on it for early and simple diagnostic procedures. The Welch Allyn Tycos stethoscope comes in at number 10 top best stethoscopes because it actually provides a perfect fit on both end of the auscultation process. It comes with a double sided chest piece so that you can focus on high and low frequency sounds, both in children and in adults. At the other end it has sealing ear tips that depress to fit perfectly to the ear canal. It is also an excellent choice for doctors because it is very flexible and you can just keep it in your coat pocket for easy access.